Seafood is a much-loved food among South Africans when eating out – whether at a fine-dining restaurant or a corner fish shop – and SASSI recognises industry-leading chefs that are engaged in promoting sustainable seafood. To this end, SASSI honours the chefs who are standing up for sustainability. With the assistance of SPILL Communications, we created the Seafood Circle awards in 2013 to celebrate Trailblazer Chefs who are taking responsibility for seafood choices in their kitchens. We assessed 70 restaurants across South Africa and looked at their approaches to implementing, supporting and promoting sustainable seafood practices. The ‘Trailblazer factor’, i.e., those chefs and restaurants that are going the extra mile in blazing a way forward for sustainable seafood. various local publications. 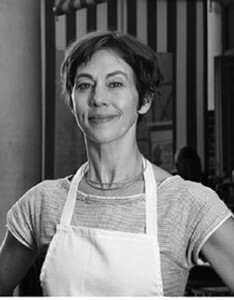 She opened her first restaurant, Superbonbon, in 1999 with her husband Nicholas and is now the chef at her latest restaurant, The Leopard. 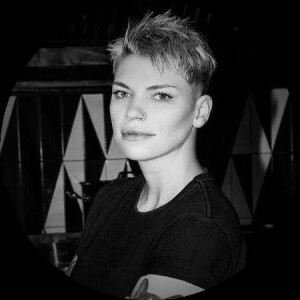 Andrea’s style of cooking is influenced by the food of Johannesburg’s various communities, from Cantonese and Pakistani to Mozambican and Italian – and she particularly loves to cook with fresh mussels. is trout and he believes freshness is key to any cooking. and Haute Cabriere for two years. Her favourite fish dish to make is pan seared franschhoek trout. career and even as a young chef, Constantijn has always respected and admired what the SASSI list stands for and uses it as a guideline for his menus. 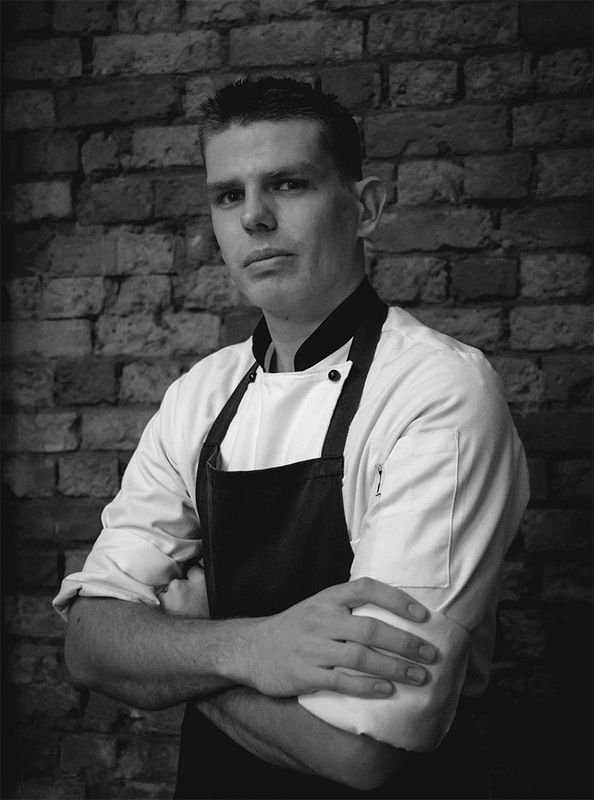 Born in Welkom, Orange Free State, Simon is a self-­‐taught chef and restaurateur. 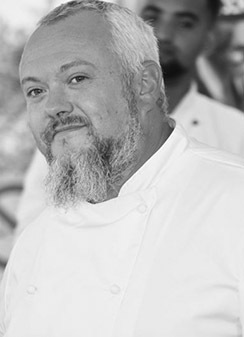 Current owner and chef at Fat Fish, past projects include Brothers Restaurant and Terrace, a partnership he ran with his brother. 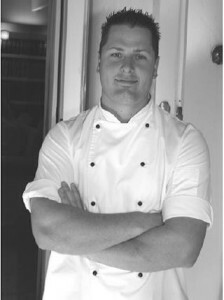 Now with two Fat Fish restaurants to run, one in Plettenberg Bay and one in George, Simon lives in the area with his wife and two children. 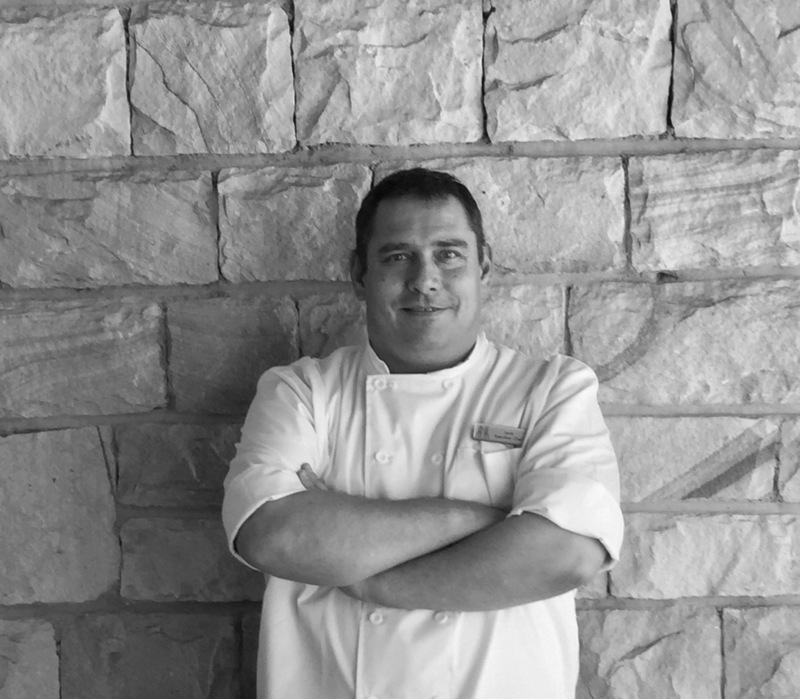 Executive Chef at the Kurland Hotel, Leon has been rated as one of the top Chefs in the Western Cape. Awards include the CXpress Garden Route Culinary Awards in 2013 and the 2016 American Express Platinum Card Fine Dining Award. 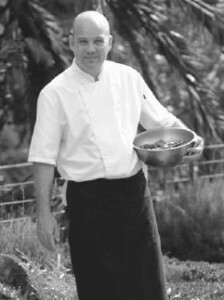 His main desire is to provide an excellent dining experience by creating dishes that exude quality and a favourite dish is curried mussels. Jono has more than 20 years of cooking under his belt. He has honed his skills in South Africa, Ireland and the UK. His love of gastropubs has inspired and dedicated him to make honest uncomplicated good food, made with local ingredients. He strives to get the best possible supplies of green listed fish to dish up to his faithful followers. Greg is at the helm of the East Head Cafe. He is completely committed to supporting sustainable Knysna initiatives. 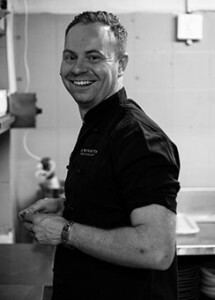 Greg is fully engaged in dealing with responsible suppliers and using sustainable food options. He grew up on the Kwazulu Natal South coast doubtless contributing to his love of the ocean. He is fully aware of the issues facing sea stocks around the coast of South Africa. In the kitchen Greg likes to keep it simple, fresh and interesting. Hylton trained in wine making and then switched to cheffing. He grew up in St James by the sea outside Cape Town. He is inspired by the sea. 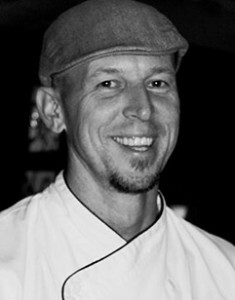 His food philosophy is focused completely on sustainable and locally sourced ingredients. There are only green listed fish on his menus. His time cooking in the Rockies left its mark where he got to cook with Alaskan salmon and fresh scallops. Sias hails from East London in the Eastern Cape. He is head chef at the Harbour House and has been with that group for 11 years. Sias is passionate about preparing and serving green listed fish from the kitchens. During his time in his position he has overseen the drive to become SASSI compliant at this restaurant group. Cabbage through to culinary excellence. Savoy Cabbage in Peter’s hands is an establishment which is a dedicated follower of Green listed SASSI fish. journey for Jocelyn to become a Trailblazer. Paris, Belgium, Tunisia, Geneva and Lyon. The Food Barn was created around the idea of bringing fine-dining to the streets. 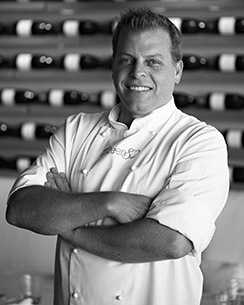 Celebrated chef Franck Dangereux was once the head chef at La Colombe on Constantia Uitsig wine farm, which was voted restaurant of the year six times in the decade he was there, until he bought the old Noordhoek Farmstall on a whim. His food is civilised without being pretentious, and caters to the casual family feel of Noordhoek. All the ingredients are sourced locally, within a maximum of 100km radius of Cape Town. Geoffrey Murray discovered his passion for cooking at the age of five, when he asked for pots and pans for Christmas. He believes strongly in bridging the world’s farming and food production communities, to protect food cultures and the environment. 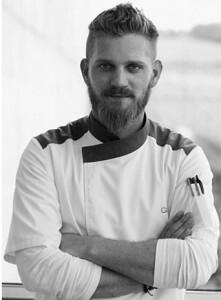 He draws inspiration from chefs like Magnus Nilsson, who promotes the relationship between nature and food, and Carlo Petrini, founder of Slow Food International. Christo Pretorius took over Azure Restaurant in 2013 as executive chef, after working as a sous chef to his predecessor. 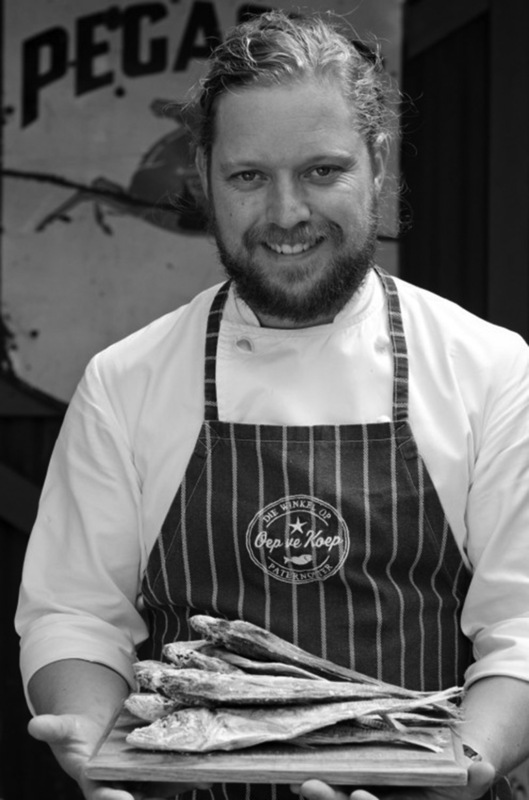 Since taking over the kitchen, he as supported the local farming community and believes in “keeping ingredients honest and in their purest form.” His cuisine is influenced by international tastes, using fresh produce and sustainable seafood. Christo has won several awards as a young chef on the rise and has worked all over South Africa, the UK and on luxury yachts in Florida. Janse, Mike Bassett, Rudi Liebenberg and Chris Erasmus, and spent some time at the Michelin Star restaurant Longueville Manor on the British Island of Jersey. Tout in the Mont Rochelle Hotel in Franschhoek, before realising his dream of cooking in his own restaurant in 2011. He can now be found at Birds Café on Bree Street. serves wild game and sustainable fish which he buys from local suppliers. 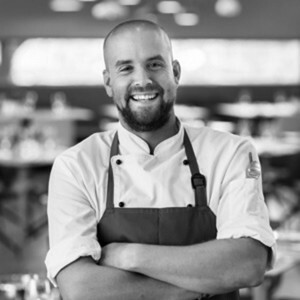 A celebrated bistro chef, Brad Ball was awarded WWF SASSI Trailblazer status during his successful five years at the helm of the award-winning Bistro Sixteen82. 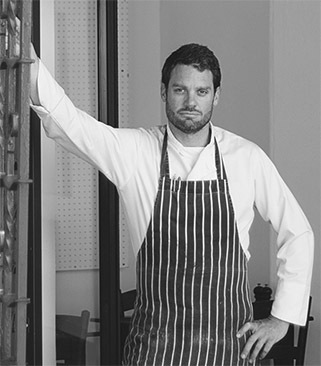 In 2014 he took over Peddlars & Co, where he has once again committed to serving only sustainable seafood choices in each of the four new restaurants he has created under the Peddlars umbrella. He’s personally so committed to being a Trailblazer, he will not even consider cooking with anything that isn’t on the green list. Vanessa Marx, a graduate of the Institute of Culinary Art, has a particular interest in creating healthy and allergen-free dishes, which brought her high acclaim during her time as Head Chef at Dear Me. 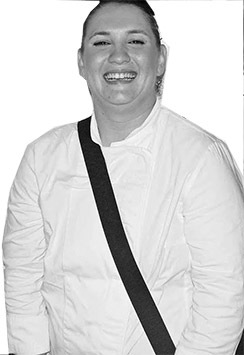 Vanessa’s passion lies in creating dishes using sustainable, seasonal and locally produced products and to encourage people to think about what they are eating, how it was produced and where it comes from. La Mouette is the dream realised of London-trained chef patron Henry Vigar. Henry sources the freshest local produce for his menu, which features, in particular, inventive fish dishes in a modern French cuisine style. His love affair with Cape Town began on a holiday in 2008. 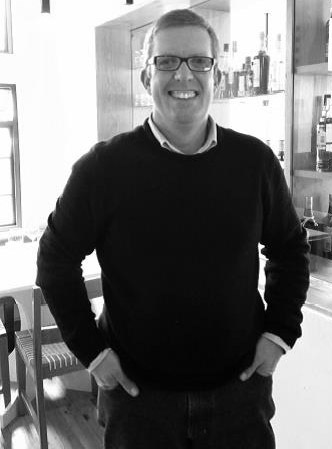 The scenery, climate and quality produce available motivated his decision to move to Cape Town in 2010 and open La Mouette. Locally trained at the Institute of Culinary Arts in Stellenbosch, Tanja has made a name for herself competing in international culinary competitions around the world. 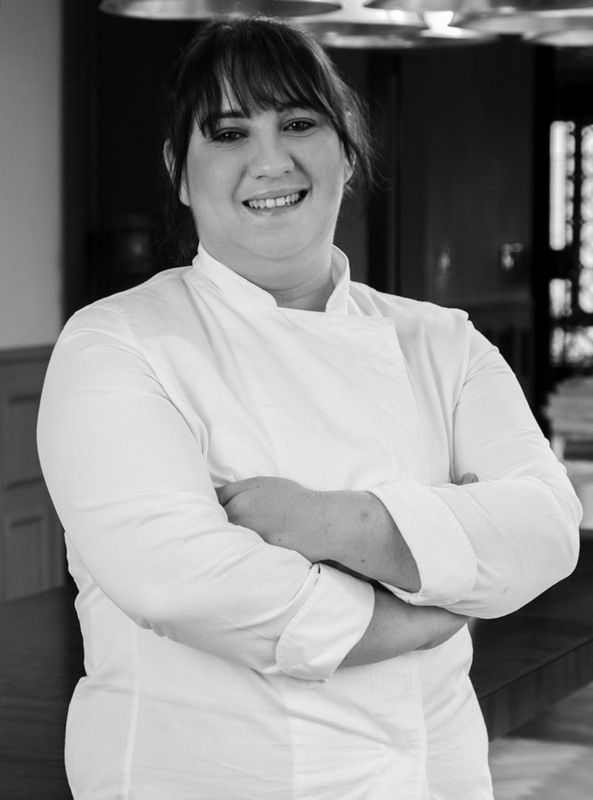 She has worked at Lanzerac, the Radisson, Five Flies and Hunter’s Country House before taking on the role of executive Chef at Majeka House in 2011. Her French inspired menu is built around seasonal, sustainable ingredients. As owner and executive chef of The Millhouse, Bjorn is one of South Africa’s youngest head chefs. 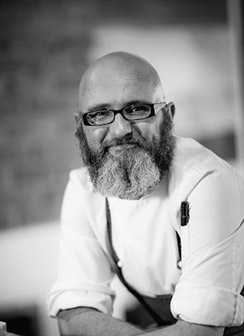 He has cooked alongside some of the biggest names in food including Peter Templehoff, Jamie Oliver, Gordon Ramsay and Ronnie Bonetti. His French and Italian themed menu is created trying to use ingredients sourced within a 50km radius of the restaurant, making the most of fresh and seasonal local produce. Chef Rudi Liebenberg’s vast career has seen him work in three of South Africa’s largest cities. 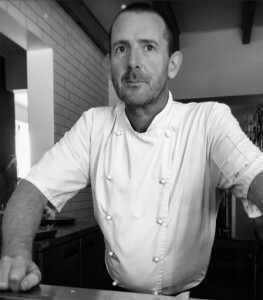 Today he runs one of the biggest and oldest kitchens in Cape Town, sourcing only the best ingredients for his menu. He will not compromise on quality. He prefers free-range and organic meat products and has made a commitment to serve only sustainable seafood, but his first love is still the humble tomato. Chris Erasmus recently left his position as the head chef at Pierneef a la Motte to pursue his dream of opening his own restaurant. His new venture is called Foliage and he will continue to pursue his passion of sustainable products, which saw him named a SASSI Trailblazer while still with Pierneef. Chris is a big fan of foraging for ingredients. 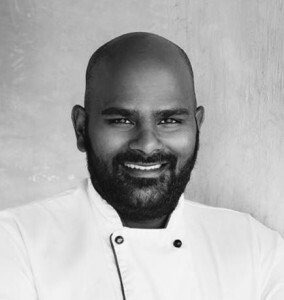 His true passion lies in promoting the local food community to diners and the food industry, and being an integral part of a new food awakening in Africa. 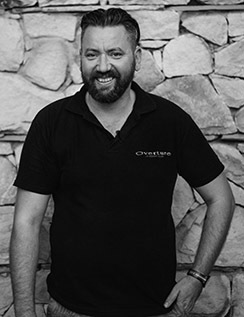 Overture has been named in South Africa’s Top Ten restaurants five times under Bertus Basson’s leadership as head chef and owner. 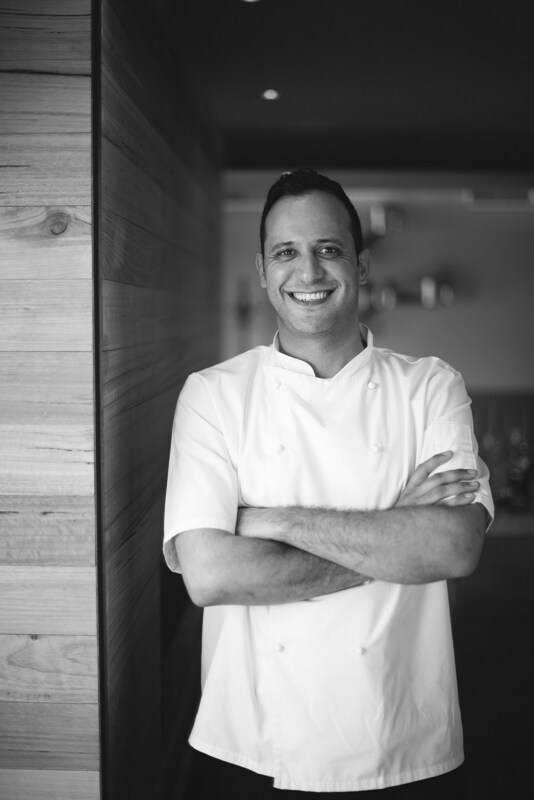 He is committed to great food made with fresh, local ingredients and earned his title as a SASSI Trailblazer by serving only sustainable fish on his menu. 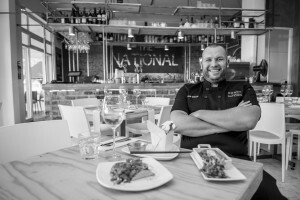 He believes Cape Town’s growing reputation for excellent restaurants is due to the high quality, diverse produce readily available to chefs. 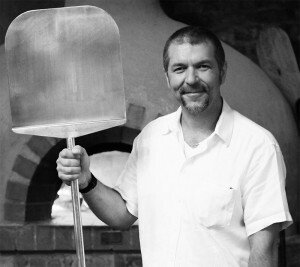 Stefan Marais fell in love with simple, peasant food while touring Europe on a tight budget. 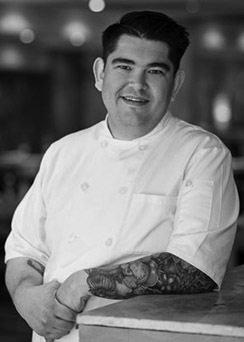 The menu he has created for Societi Bistro focuses on slow, careful cooking governed by seasonally available ingredients. He is passionate about supporting local producers, which also allows him to offer reasonably-priced dishes to his customers. Being a SASSI Trailblazer is a point of pride for Stefan, who enjoys introducing less popular, sustainable fish species to his menu. 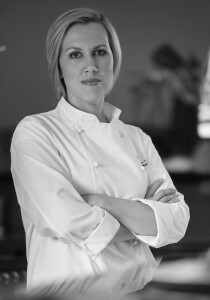 Hartford House was named in South Africa’s top ten restaurants four times during Jackie Cameron’s twelve years as the head of the kitchen, and won numerous awards under her guidance. She has recently left her position in order to open her own culinary school in the KwaZulu Natal Midlands, where she hails from. 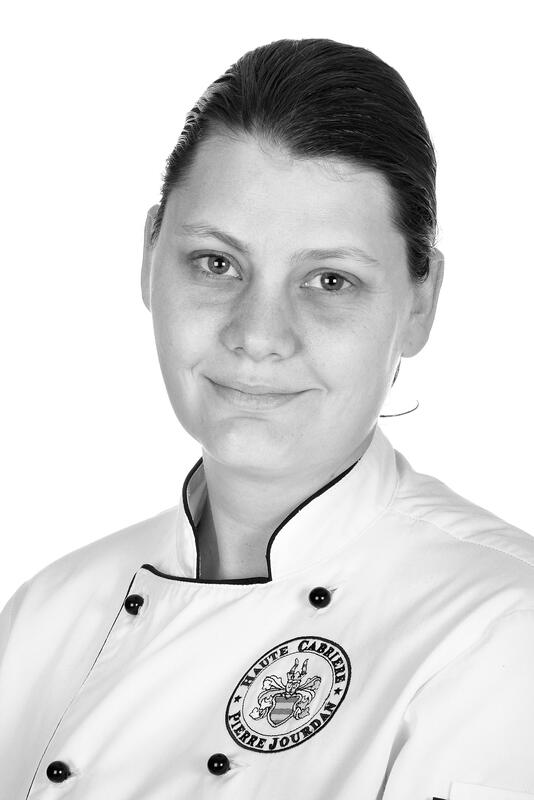 Her zest and zeal for SASSI is apparent and the sustainable values which earned her status as a SASSI Trailblazer will be taught to aspiring chefs at the Jackie Cameron School of Food and Wine, which opens its doors in 2015. Kevin Joseph may have been born and raised in Cape Town, but today he is passionate about KwaZulu Natal and the East Coast style of cooking. The Oyster Box serves only local vegetables, beef from the Midlands and sustainable fish caught off the Durban coast. The restaurant has its own oyster licenses and only serves as many oysters as their licenses allow them to collect. Kevin won’t even accept oysters from further down the South African coast. DW Eleven 13 is a family affair. Marthinus Ferreira is the head chef and owner, who began the restaurant with his parents and his sister after returning home from the UK where he worked alongside Heston Blumenthal at The Hinds Head and The Fat Duck. He has recently opened a second restaurant called The Grazing Room, which offers a tapas style menu. The menus at both restaurants change regularly, based on what is fresh and available. He is serious chef and serious about SASSI. 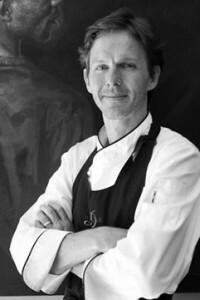 Chef Philip Alcock, is a master when it comes to cooking seafood. He uses only the freshest and best locally sourced seafood available. Philip has been a chef for over 24 years. He gained most of his experience in Europe with internationally renowned chefs such as Raymond Blanc, Marco Pierre White and the Roux brothers. 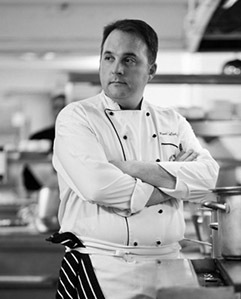 While working in the UK he worked in a string of restaurants with Michelin stars as an Executive chef. Since arriving in Cape Town Philip has moved from one successful venture to the next. He has gained respect and attention in the culinary industry before taking on his latest challenge at Sea Breeze as head chef. Glen Williams is a born and bred southern suburbs Capetonian. 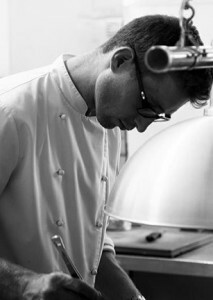 He got his big break at La Colombe at the age 21 when he was made Pastry chef. This is the move which has set him on a course that has brought him to where he is today. 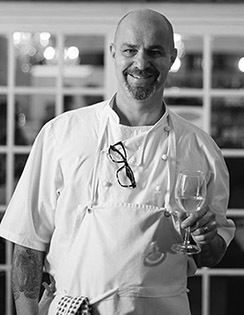 Glen is chef and co-owner at Foxcroft where seasonal perfection is experienced in every bite. 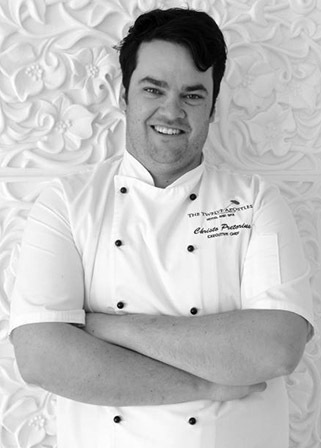 It’s no surprise Glen’s passion for the use of sustainable produce shines through. By the way, Foxcroft is Glen’s middle name, not a lot of people know that. 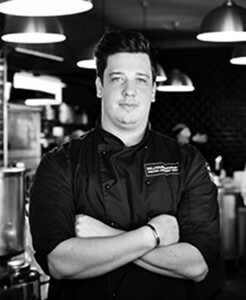 Robert Giljam is a graduate of the City & Guilds accredited Capsicum Culinary Studios he is now head chef at Societi Bistro in Gardens, Cape Town. 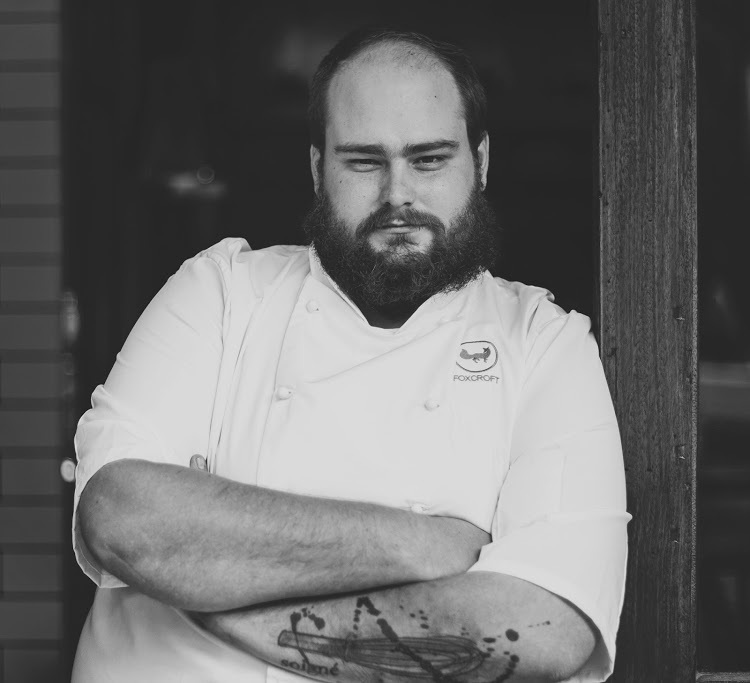 Robert is passionate about sustainability and bringing together a balance of flavours, adding a unique twist to traditional cuisine.Now cooking at the award winning Societi Bistro he has the space to pursue sustainable cooking in the way he wants. The fish which he tries to cook with on a weekly are hake and yellowtail and tuna when available. 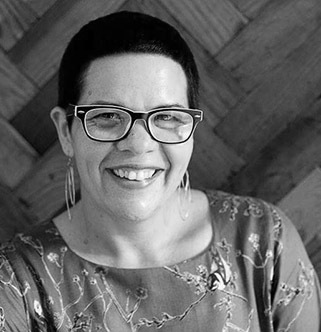 Growing up in Muizenberg, Julie was surrounded by fish as her father was a commercial fisherman. Julie’s father passed on his love and knowledge of the ocean which lead Julie to starting her own business – she set up a seafood stall at The Biscuit Mill. Her knowledge and concept was well received and to date she is known for having the best fishcakes in the city, made from a selection of SASSI green listed fish. Julie owns the Ocean Jewels which has been running for 12 years now, she also has a eatery in The Woodstock Exchange where you can go to enjoy a delicious seafood meal, or stock up on some fresh, great quality seafood. Julie only cooks and uses Green listed fish. 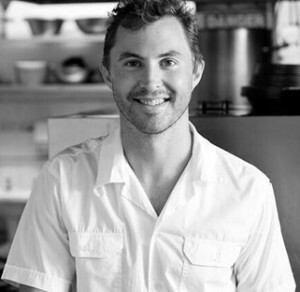 Giles Edwards is the co-owner of La Tete with a focus on nose to tail dining. It was under the training of Fergus Henderson that Giles passion for sustainability was ignited. 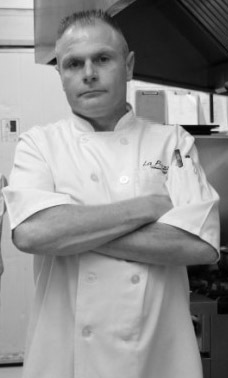 La Tete radiates his passionate for seasonal produce and sustainable meat and seafood, it is about honouring the entire animal and produce minimizing waste. Giles focuses on educating others on what can be done with unique cuts of meat, empowering his staff to educate consumers on what he is trying to achieve with his dishes. 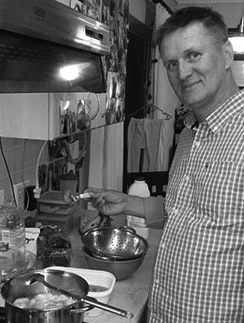 Just taste the fish served everyday in La Tete and in every mouthful it easy to see why in one year his skill is the talk of the town. Massimo is originally from Piemonte, in northern Italy. Massiomo and his wife Tracy run their popular home style Italian restaurant, Massimo in Hout Bay. Massimo is passionate about sustainability. In his cooking he uses locally sourced sustainable produce. He only ever serves green listed fish. In doing this he is following the path he set when they first opened in Hout Bay over 7 years ago. Also his passion and care for his community and bettering the lives of others is known by all those who visit his restaurant. Graham travelled and worked in numerous top establishments in the USA, UK, Bermuda and South America before returning home to Durban with his partner Gina where they would make their mark. It was in 2010 when they took over the 9th Ave Bistro with Graham running the kitchen and Gina in the front of house. Graham made it their goal to create a modern, warm and intimate fine dining experience for their guests. Graham emphasises the importance of high quality seasonal ingredients which are sustainable, striving for perfection with every plate. 9th Ave showcases locally sourced seafood with special attention paid to sustainability. the way that is brings people together, he is currently working at The Big Mouth in Sandton, Johannesburg where he has developed his drive for seafood, selling a lot of sustainable fish. 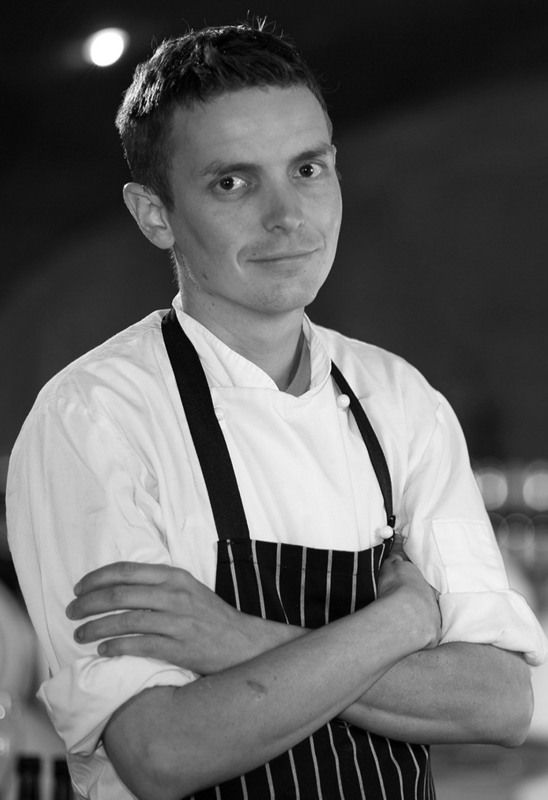 Lucas started out as a commis chef at Aubergine Restaurant. 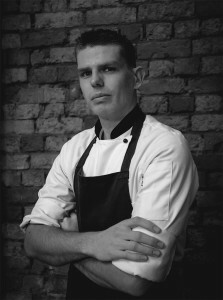 He is now the executive chef at Makaron Restaurant, Majeka House. 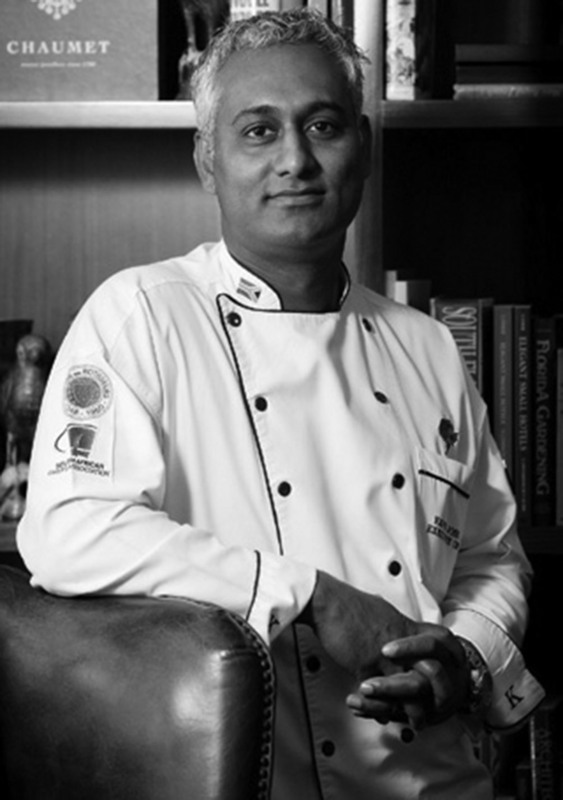 Home grown excellence, simplicity and honesty are the hall marks of his cooking. Locally sourced, ingredient driven dishes bounce off the menu. Seafood is a strong feature at this restaurant. He is committed to using only sustainable fish. Lucas is still dreaming about the fresh sardines he ate on his recent trip to Lisbon. James is the definition of homegrown success, starting with his mom who taught him flavour combinations and how to use everything in the garden. James’s philosophy for provenance, seasonality and sustainability is what really makes his restaurant one to keep on your radar. He sources the majority of his produce – wild boar, chickens, mielies, pumpkins, cucumbers, string beans, edible flowers and more − from the family farm in the Magaliesberg, Brightside. When it comes to fish he is insistent on only using sustainably caught fish. 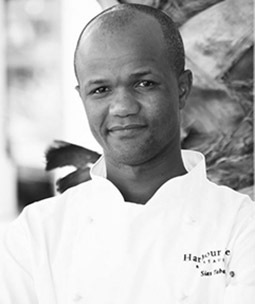 Xavier Francis grew up in the idyllic coastal city of Durban, South Africa – perhaps the origin for his love of seafood. 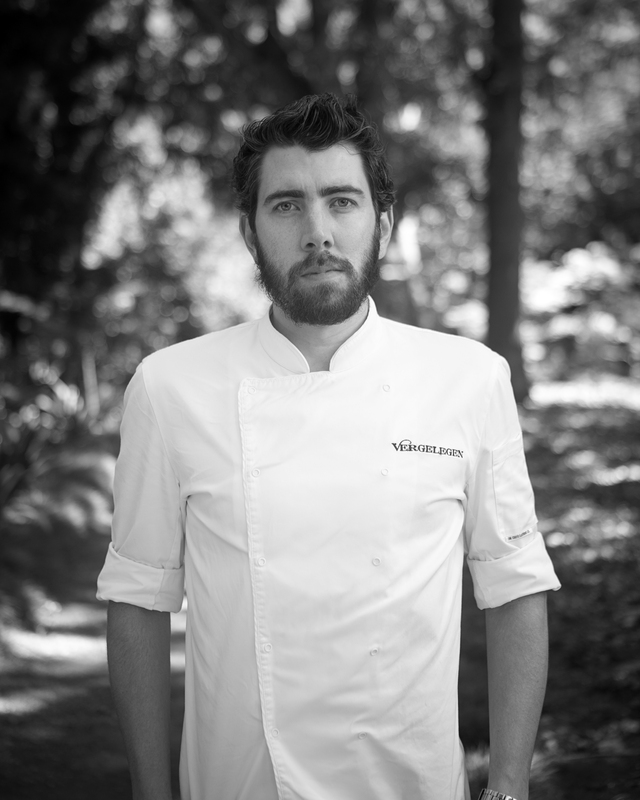 Xavier enjoys creating new dishes, which serve as an expression of his childhood memories. When creating a new dish, he will always start with a core component and builds the dish around that. “I’ll create the dish, then I’ll strip it down. This shows our skill and our care and also means that there is no wastage with produce.” He is acutely aware that the seafood produce which he purchases, cooks and serves makes a difference with regards to sustainability. 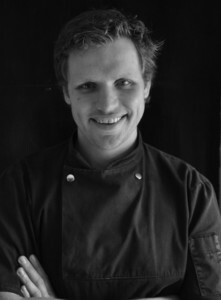 Chef and Owner Ash Heeger was born in Mthatha and raised in Cape Town. 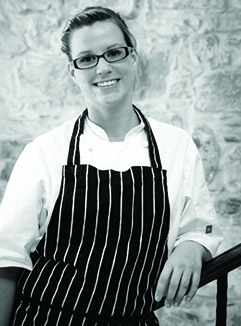 Ash knew she wanted to be a professional chef by the time she was ten years old. No other career was ever an option for her. Ash earned her laurels at the Test Kitchen. She followed this up in London with stints at the Ledbury in Notting Hill and Dinner by Heston Blumenthal. 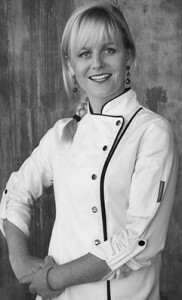 Back in Cape Town she is has just opened her 2nd restaurant called Riverine Rabbit. Sustainability is in the heart and soul of the food which Ash is dishing up. She makes her debut on Netflix this coming season on November the 20th on a show called The Final Table. 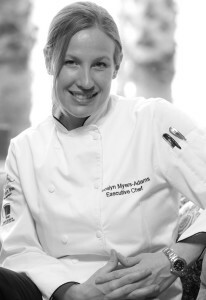 Kayla-Ann is a talented, dynamic chef who has always had a passion for cooking. “I always wanted to be in the kitchen from a very young age, right from the days I spent cooking with my Gran. I have been obsessed with food ever since. It was never really a choice I made, it was just what was going to happen”. She is truly passionate about sustainability both personally and in her work in the kitchen. 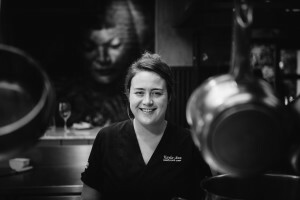 Her love of fresh, seasonal and locally sourced produce has driven her to create dishes that honour the flavours and textures of the ingredients. Her dedication and unique style saw her receive The Rising Star Award in the 2017 Eat Out Awards. 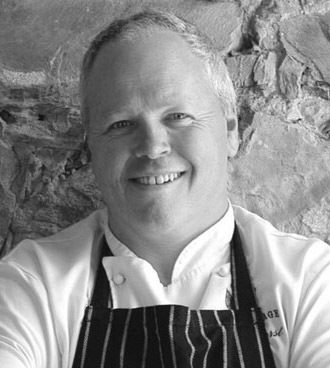 Cooke is a breath of fresh air with a humble and down to earth approach when it comes to creating his ingenious and sublime dishes. He’s worked at Heston Blumenthal’s Michelin-starred The Fat Duck, following that up as head chef at La Colombe and the Greenhouse. So, he is no stranger to the starry world of cheffing. But at the root of everything he does is sustainability and respect for his ingredients. He is insistent that green is the only way.